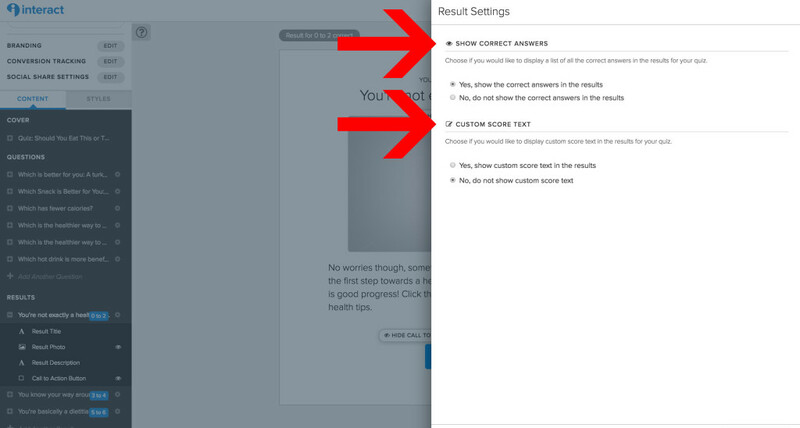 You can add results to narrow down what you show people based on how many quiz answers they get correct. 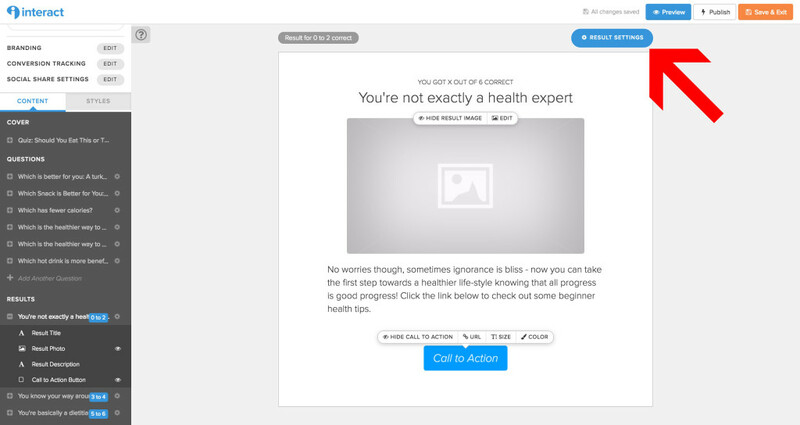 Click “add result” until you have the granularity you want. 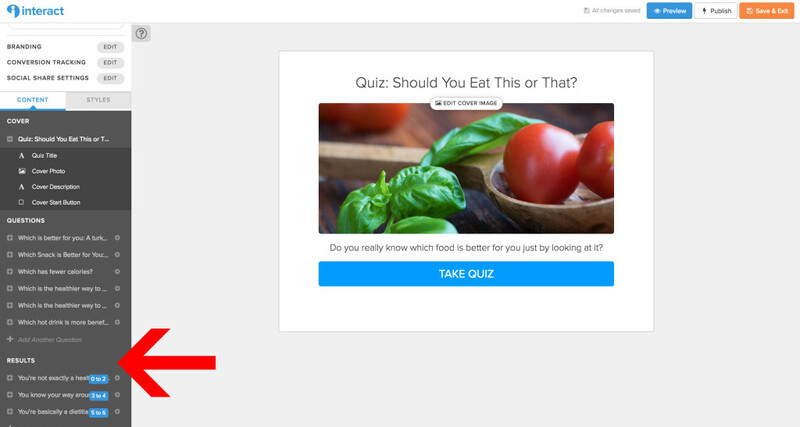 Keep in mind that when people share their quiz results, they share the quiz in the format “I got (title result)(title of quiz)” so the score won’t be shown in the social share unless you add it to the text of the result title.